Landhaus Griesser is located in Bad Hofgastein, the sunniest and widest part of the beautiful and world-famous Gastein Valley. 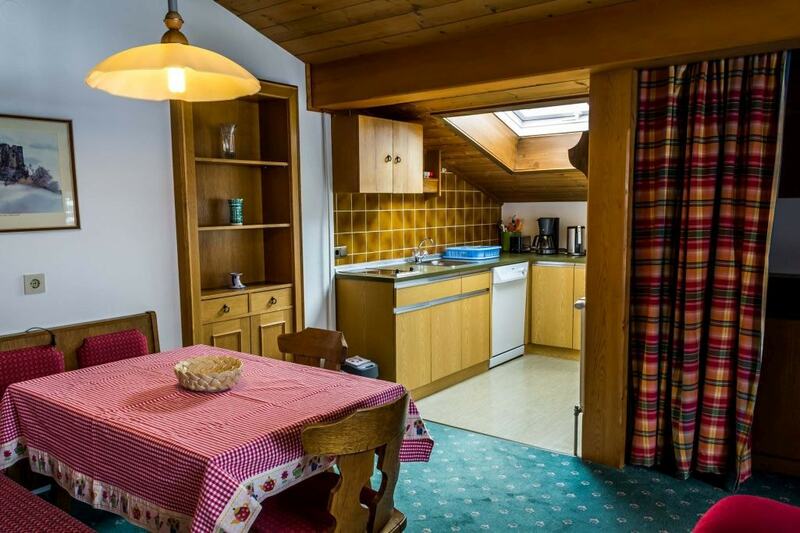 In a quiet location and yet only 200 meters on foot from the center of Bad Hofgastein, Landhaus Griesser offers three cozy and spacious apartments in a top location. Our house is open in all four seasons and there are plenty of free parking spaces. Shopping facilities in the center are just a few minutes by foot away, supermarkets are also just a two-minute drive away by car. The nearest city bus stop is 50 meters from Landhaus Griesser on foot and allows you to spend your holiday without a car. We will be happy to organize a pick-up service for you from Bad Hofgastein train station. 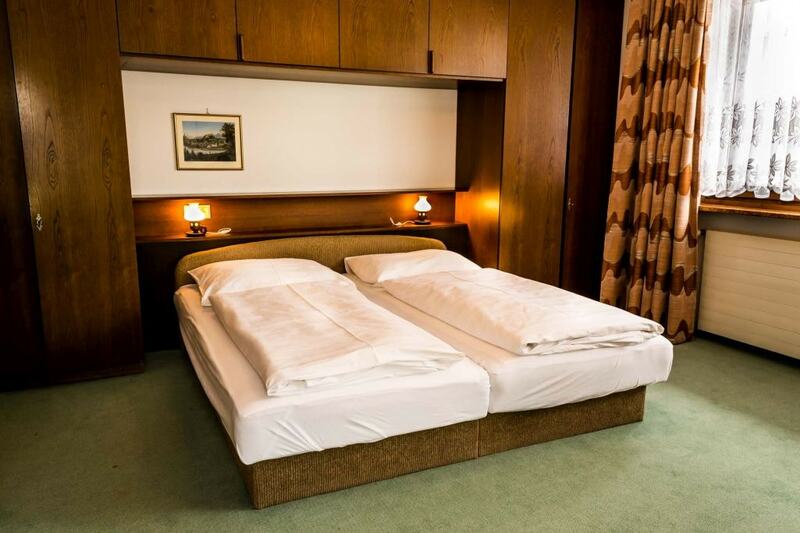 The Alpentherme Gastein and the thermal water springs are just a ten-minute walk away. The Schlossalmbahn Neu can be reached by city bus in just a few minutes and takes you quickly and comfortably to the summit at any time of the year. 80 kilometres south of the city of Salzburg, in the countryside, the Gastein Valley (Gasteinertal), 40 kilometres long, stretches along an impressive range of mountains. It is quite a paradise, well known for its hot springs, beautiful mountain peaks, the curative radon galleries and a grand ski region with more than 200 kilometres of slopes. Therefore, it becomes a unique experience for families and sport enthusiasts as well as for those who just want to relax and enjoy the breath-taking ambience. Three villages are situated in the Gastein Valley, ready for your wellbeing at any time of the year. The natural flair and the healthy air let us forget our daily routines – you can take that for granted. Bad Hofgastein, Bad Gastein, and Dorfgastein are the three villages of the Gasteinertal and each of them is completely unique. Whoever is interested in a town built into the mountains or is looking for enjoyable nightlife might prefer Bad Gastein. Bad Hofgastein, on the contrary, focuses on sport, recreation and leisure time activities. For those who like it calmer and casual the lovely village of Dorfgastein is the right place. In the end it is worthwhile getting to know all three places since they are only a few minutes apart when going by car or public transport. Therefore, make up your mind and experience where to go. 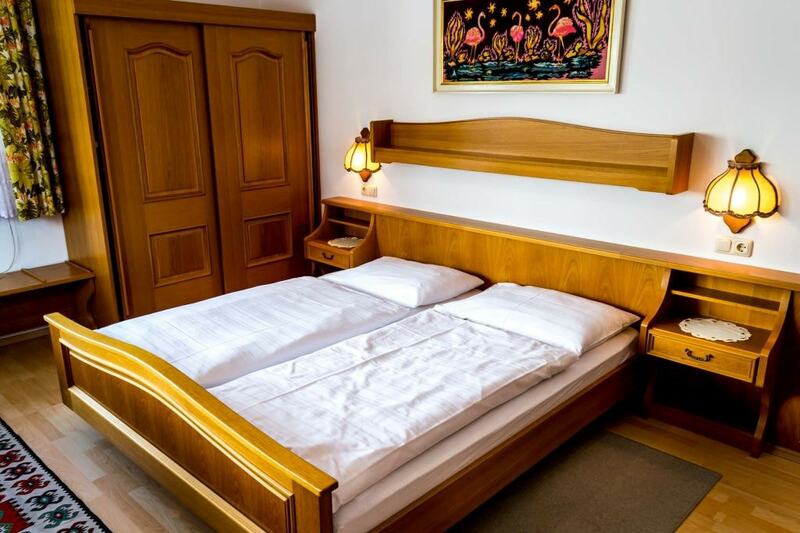 The apartment Hirschkarblick consists of an integrated living/sleeping room with a double bed, flat screen with cable TV, free Wi-Fi as well as a shower/bathroom and balcony. The separate kitchen with a small dining table is equipped with an electric cooker, refrigerator, dinnerware, electric kettle and a filter coffee machine. Apartment Schlossalmblick, on the top floor, is ideal for families and consists of a separate bedroom with a double bed and a third bed. The commodious living room with a dining area, fully equipped kitchen (electric cooker, dishwasher, microwave, refrigerator, crockery, kettle, filter coffee maker and toaster) and two separate beds in a separate bunk invite you to relax. Flat screen with cable TV and free WLAN. The bathroom can be accessed separately. The spacious balcony offers a wonderful panoramic view towards the Schlossalm. The apartment Gartenblick on the ground floor offers a spacious living and sleeping area with an anteroom, a separate bedroom with double bed and living room with a couch and a fully equipped kitchen (electric cooker, dishwasher, refrigerator, crockery, kettle, filter coffee maker and toaster). The couch can also be converted into two additional beds. The bathroom can be accessed separately. In spring and summer months the garden offers additional relaxation and recreation. Every apartment provides free Wi-Fi for our guests. The bus to the ski area is within a two-minute-walking-distance. Landhaus Griesser provides an extra stowage room for your ski equipment. Bad Hofgastein is a well-known spa and offers a wide range of health therapies, in the Alpentherme Gastein you will enjoy fun, recreation and relaxation. The Gasteiner Heilstollen is unique worldwide and is recognised by many health insurance companies as eligible for aid. The prices quoted include all ancillary services and weekly change of bed sheets and towels. Your pets are welcome. We ask for your understanding that we only accept cash payments. * I agree with the transmission and further processing of my personal data.